Agile Machineries Pvt. Ltd, establish in 2010 one of the fastest growing manufacturer, trader and exporter from India offers Laser Marking Machine, Laser Etching Machine, Laser Engraving Machine, Laser Solar Cell Scribing Machine, Laser Stamp Machine and many more. We have a team of professionals with average experience of 12 years in Indian Laser Industry. All key members are Engineers & M.B.As and have worked at senior level position in laser industry almost for decade. 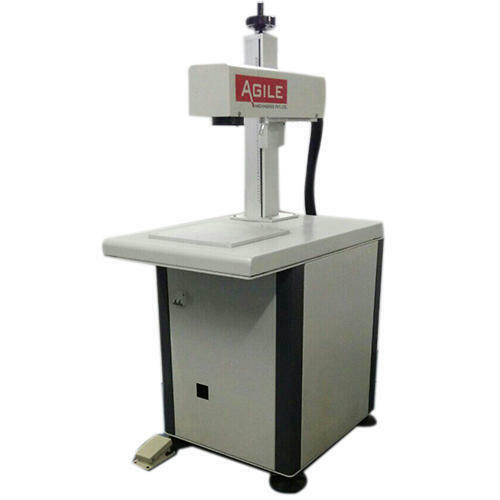 Application area of Laser Marking are Automotive, Electronics, Electrical Tools & Tooling, Medical/Surgical, Jewellery & Fashion accessories, Kitchenware & bath fittings and Giftware.